My Asthma test came back negative and my chest pain is almost gone. I haven’t had any serious injuries, but between foot/ ankle pain, hip pain and man flu I haven’t been able to do as much training as I would have liked to by this point. I’ve still managed to get out in the fells around once a week but then it seems to take me almost a week to recover enough to get back into them again. Maybe it’s due to the fact that I don’t normally do as much training on that type of terrain and my body is still adapting. I never have any muscle soreness after a day in the fells, and I’ve always felt like I could have done more so I’m taking that as a positive. Another niggle I have is that after long or consecutive days in the fells I’ve been getting some soreness on the balls of my feet so I need to look at more cushioned shoes. I’ve been wearing Mudclaw 300’s anf Cheviot 3’s so far. Since my last post I’ve been to the Cheviots 5 times, along the Roman Wall and the Lakes once to reccie leg 2. 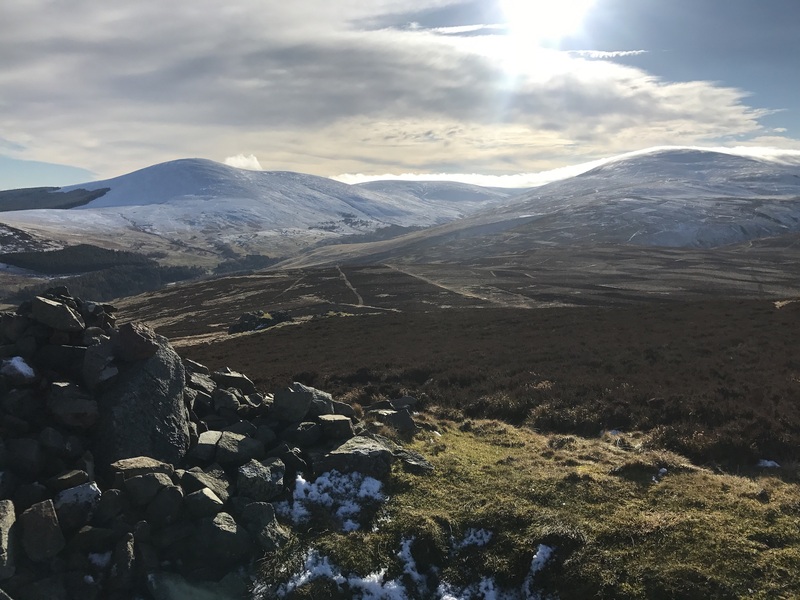 The weather on most of these outings has been pretty rough ranging from 70mph winds on the top of Hedgehope to waist deep snow on Cheviot and generally boggy and cold conditions in general. If I wasn’t training for my BGR there’s no way I would have went out in those conditions but in retrospect I’m glad that I did. I’m incredibly lucky that I have so many choices – the Lakes it 2 hours away, Cheviots, Simonside Hills, Roman Wall and Pennines less than an hour. When the clocks go back I’m looking forward to getting out to some of these places after work when I can. I’m also looking forward to some more favourable weather, although when it gets into summer that brings additional problems in terms of keeping hydrated. I’ve also been experimenting with nutrition. I know that on my round I need to keep myself properly fuelled but on my training runs I’ve been trying to limit my food intake to try and train my body to use my fat sources more efficiently. Typically I’m able to run for around 5 hours on a few chocolate bars, a small packet of nuts and about 200ml of water. 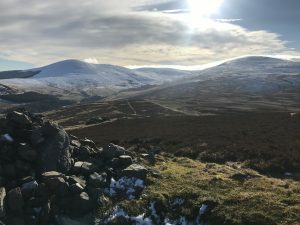 In the next phase of my training I am planning on increasing my long fell runs from around 5 hours which I’m doing at present up to 7, although I’m also conscious about needing to listen to my body and rest when it tells me to.